Can there be true dialogue in the era of Facebook? 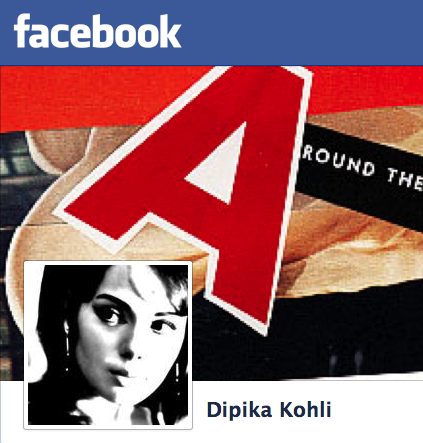 Hypocritically, after more than a year of resisting, I just (re)joined Facebook. Treading strange waters here, because I don’t fundamentally “Like” this platform that puts “sponsored ads” in where you wouldn’t ordinarily have them, in a regular conversation offline. You’d also be freer to say what you think, wouldn’t you?, if you weren’t leaving a digital trail of record? Akira told me to get back on so I could join groups. I like this idea of connecting, and deepening conversations with people I don’t live near, and who share the same kinds of esoteric tendencies that I do (I joined a group called”Cosmos”). The only thing I’m wondering is, will this matter? In a month, in three months, in a year, will the only people I feel “close” to be those that are simply able to converse in the English language with clarity, and arresting turns of phrase? Will it mean something, in other words? Making meaning has been the work of my life for the last eight years over at Design Kompany. How has Facebook worked for you? Do you find it engaging? Limiting? Do you find that it’s Big Brother-y? That has always been my issue. I got off Facebook several years ago because I found it stunting my actual offline conversation-making efforts. But I wonder what you will say? Do we simply move our would-be offline conversations to Facebook ones, because it’s there, and easy? Do we drop the whole hard work of actually getting to know diverse groups of people, and meeting in gathering places in public spaces? Are people flakier now, because of cell phones, last-minute cancellation possibilities, or simply, lack of focus in creating intention to do what we say we will? I’m thinking about my Seattle experiences here. You are here: Home / Conversations / Can there be true dialogue in the era of Facebook?